Building in SL is not only fun, it's a good outlet for your creativity. You can express your imagination and ideas. You can build almost everything that you imagine. By using the right textures and creatively shaping prims, you can recreate everything in SL that you see around you in real life. 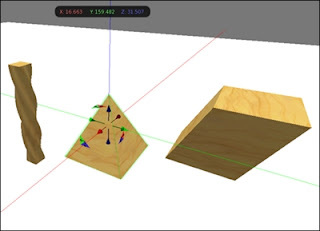 The possibilities are endless with the building tools available and the numbers of ways you can shape prims. Building is the core of every virtual world. 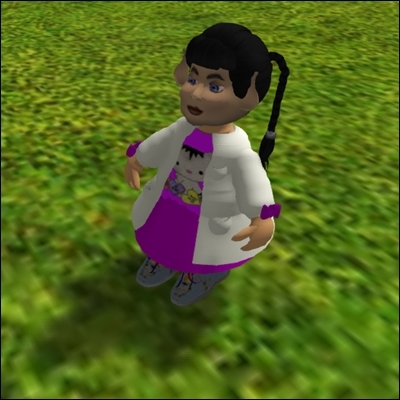 Everything we use in SL is made by someone for our use. Many Avies are curious about how things are made. 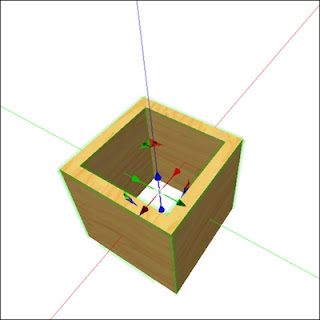 For example, how a simple prim (box) can be shaped so intelligently to create all the things we see around us. Our curiosity leads us to experimentation and that's how most of us learn the basics of building. Experimenting is a fun way of learning and its always encouraged, but still there are some residents who want to try building but somehow they hesitate. It’s either due to lack of knowledge or they fear that they might mess up things in doing so. Good news is, SL building may appear as a complicated task at first, but when you learn the basics then most things become easier. This article will focus on the basics of SL building and will equip you with essential know-how. First, you need to know about the build menu. Make sure you have building permissions on the land you are on, it’s suggested to experiment in a sandbox or on your own land. Clicking the build button will open the build menu. Now you will notice your mouse pointer will change into a little wand. By clicking once on ground you can Rez a prim cube (you can also choose a different startup shape from the top of build menu). Now the mouse pointer will change back into a arrow pointer with your newly rezzed prim selected. In build menu go to "Object" tab. There you will see many fields and options but don't worry you will learn about all of them in a short time. Starting from top of menu you will see some ratio buttons. You can use these options one at a time to position, rotate, resize texture and align your prim. 1) Move: It makes three directional arrows appear around selected prim. You can use these arrows to move & position a prim in 6 directions. 2) Rotate: It makes three rings appear around selected prim. Using them you can rotate a prim from 0 to 360 degrees in 6 directions. 3) Stretch: it makes cube handles appear around prim. Using them you can resize a prim. White ones will make the prim grow or shrink from all sides. You can use colored ones to resize prim from one particular side. 4) Select face: It helps you to select one particular side of prim to apply a texture. You can do so by going into texture tab. 5) Edit linked: This option when selected helps you to select one particular prim from a build comprised of multiple linked prims. On right side of those ratio buttons you will find some more options. When selected these options helps you to edit your prim in your desired way. 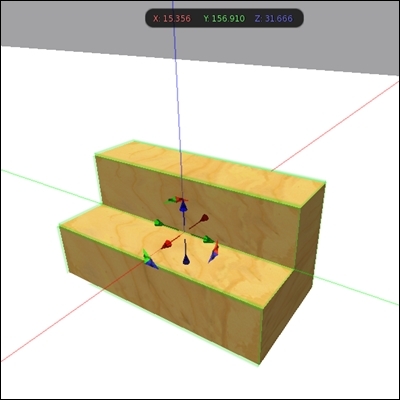 1) Stretch Both Sides: When selected it makes prim get resized equally from both opposite sides on same axis. 2) Stretch Texture: When selected it makes texture applied on prim get resized accordingly with prim resizing. 3) Snap: It helps to align selected prim with grid. Going further down in build menu you will find four stats of a prim with checkbox options. 1) Locked: When selected it locks all prim's properties and then it can't be edited further. 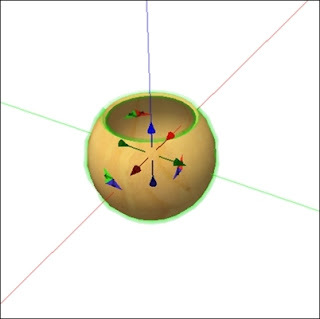 2) Physical: Laws of gravity works on prim when this property is selected. 3) Temporary: Prim self deletes itself after few seconds when this option is selected. For example this option can be used for making gun’s shooting bullets. 4) Phantom: Avatars can walk through prim when this option is selected. For example it can be used to make water surfaces, so avatars can stand in it and can walk through it. 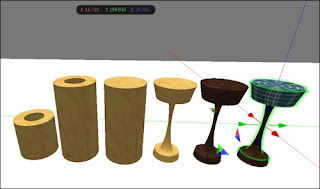 Under those properties you will find three fields for each position, size and rotation of a prim. You can manually put values in those fields to position, resize and rotate your prim. On the right side starting from top you will find a drop down list. You can switch basic shape of a prim from there. For example you can change it in to a cylinder, prism, sphere and many more. 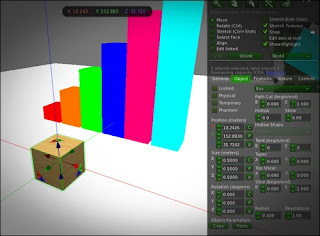 For more information about build menu and basics of building I talked to Mouseplay Resident. She is one of instructors at New Citizen's Inc. NCI is one of renowned schools in SL, which offers building and scripting classes. Vapor: Firstly, thank you for giving us your time and secondly please tell SLE what path cut fields B & E are for in build menu? Mouseplay: Path cuts are simply used to cut prims. Path cut B & E is usually used in building houses and jewelry. Most people use it to make things like stairs. Stairs with little two step, it's easy and low prim. Let me give you its example. First, rez a cube then enter these values in Path cut fields, B =0.125 and E = 0.875. In rotation fields set X = 90, Y = 0 and Z= 180. Now under size set z =1 and you will have a very simple two step stair. Vapor: Tell us about utility of hollow, Skew and hollow shape options in build menu? Mouseplay: Hollow lets you create a hole in your prim, it hollows it out. A hollow shape lets you choose the shape of your hole. Skew lets you change the shape by offsetting the alignment of the edges. Vapor: What are the Twist, Taper and Top shear options are used for? Mouseplay: Twist as its name implies lets you twist the prim. For example, twist a cube so it looks like a rope. Taper allows you to taper the sides of a cube, for example with tapers a cube can be shaped into a pyramid. Top shear allows setting one side all the way to the other, shearing moves whole perspective of the prim. Vapor: Can you please tell SLE readers what Slice and Revolutions options are for? 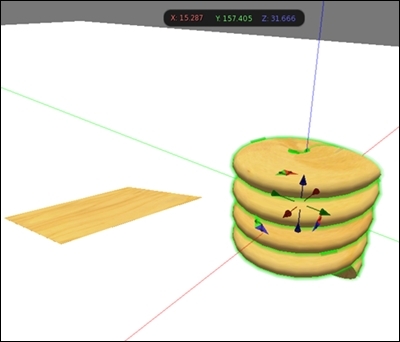 Mouseplay: Slice, slices prim to smallest thickness. The smallest thickness you can resize a prim is 0.01, but slice option lets you cut it even smaller. Using slice you can get it to 0.001. It's not usually much use unless you wanting paper thin items or a shape that has a flat top. I will explain revolutions with example. Rez a cube change its shape to torus from drop down list menu. Now put 4 in revolution field. It will revolve prim 4 times and you will have a nice rope looking prim. Vapor: What options do people usually overlook? Mouseplay: I will like to mention one option with example, it's my most favorite. To Rez a sphere shape, go to dimple setting on right hand side in build menu. Set E to 0.750 and in hollow field put 95. You will have a perfect bowl. 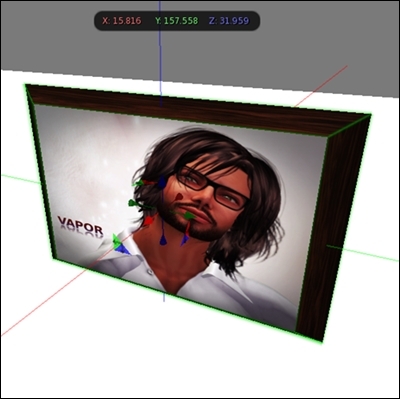 Using the simple sphere, dimple and path cut you can even make a complete avatar. Vapor: How can prims be copied, Linked and unlinked? 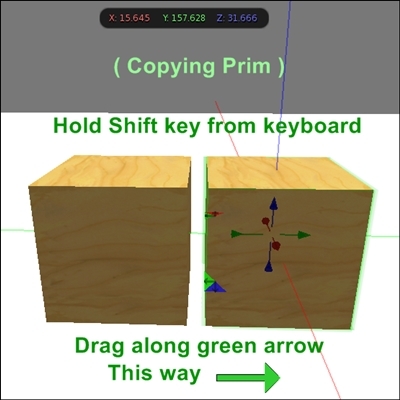 Mouseplay: To copy a prim hold down the "Shift" key and drag prim to any direction using any directional arrows. To Link prims together, first select all prims by holding "Shift" key, then press "Ctrl + L" and they will be joined ( Linked ) . To unlink press "Ctrl + Shift + L” while build selected and it will be unlinked. You can also use hot keys buttons for linking and unlinking. Those buttons are commonly available in newer viewer's build menu. Vapor: What are the concepts of root prim and its significance? Vapor: What is a good recipe for building something very simple but useful? 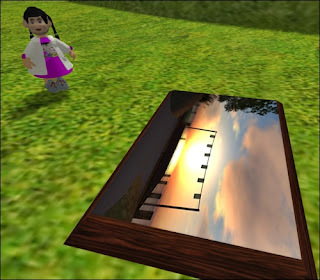 Mouseplay: How about one prim picture frame. Rez a cube, set sizes to X = 1.6, Y = 1 and Z = 0.07. Now set taper X = 0.15 and Y = 0.15. Go to texture tab; click on yellow wood picture and from texture picker window search “Brazilian rosewood" texture. Select it, press ok and it will be applied on whole prim. From top of the build menu select "Select texture" or "Select face" option (depending on viewer type). Now click on front face of your frame. Once front face selected, again from texture tab, click on wood picture to open texture picker menu and this time choose any photo from your inventory. Press ok and it will be applied only on front face of frame that you selected. Look for a check box "Full Bright" and select it. There you go this is very simple one prim picture frame and now it can be added to any wall. Rezz a tube shape from build menu, name it 1 prim stool in General tab. In Object tab change sizes to X = 1 Y = 0.5 Z = 0.5, Hollow = 85 %. From "Hollow shape" drop down list select "circle", set Hole size X = 1 Y = 0.5. Set Profile Cut B = 0.260 E = 0.920 (make sure its profile cut....not path cut), set Rotation Y =90. From texture tab click on texture plywood image and search & select texture named "walnut”, it's in your library textures. Apply it by selecting ok. From top of the build menu select "Select texture" or "Select face" option (depending on viewer type).Now by holding shift key , click on top and side rim of stool to select both. Once top and side rim selected, again from texture tab click on texture image and search & select texture named "Fabric - Plaid2”, it's in your library textures. Apply it by selecting ok. Your 1 prim stool is ready. Right click on it and select "sit here" to sit on it. Vapor: Do you have any advice for beginner builders?